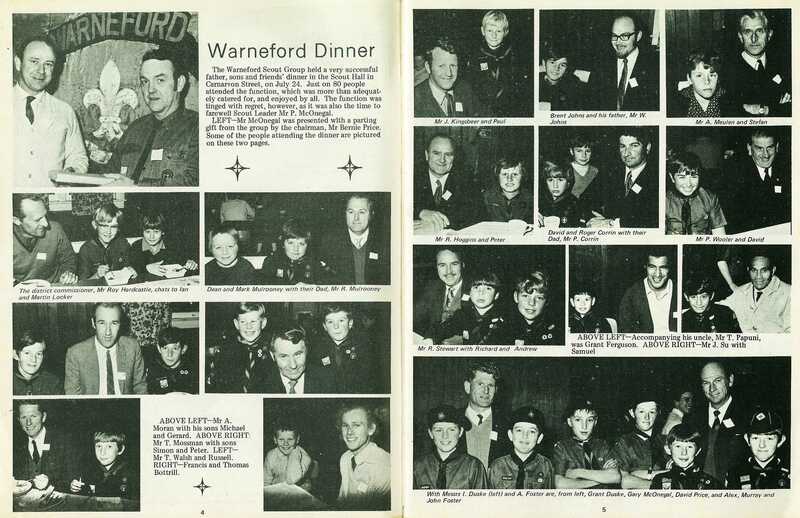 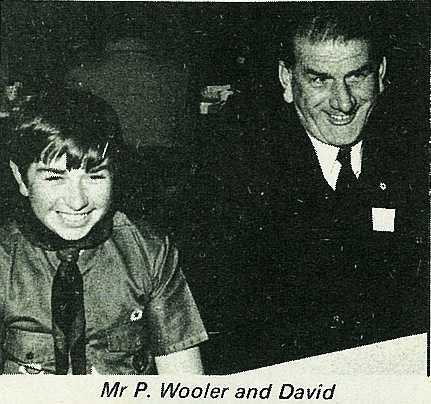 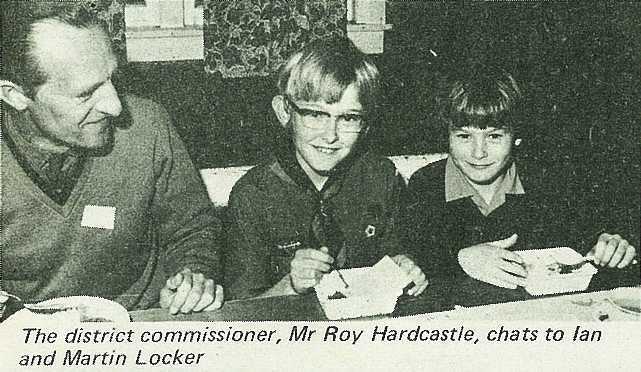 The Warneford Scout Group held a very successful father, sons and friends' dinner in the Scout Hall in Carnarvon Street, on July 24. Just on 80 people attended the function, which was more than adequately catered for, and enjoyed by all. 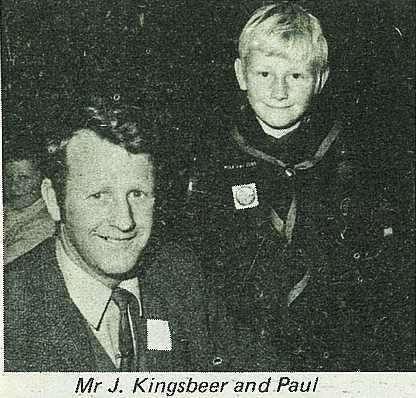 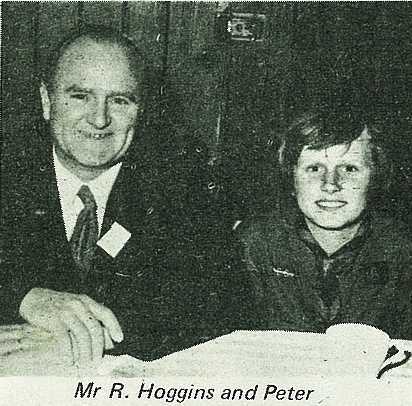 The function was tinged with regret, however, as it was also the time to farewell Scout Leader Mr P. McOnegal. Some of the people attending the dinner are pictured on these two pages. Mr McOnegal was presented with a parting gift from the group by the chairman, Mr Bernie Price. 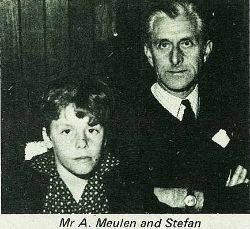 Mr A. Moran with his sons Michael and Gerard. 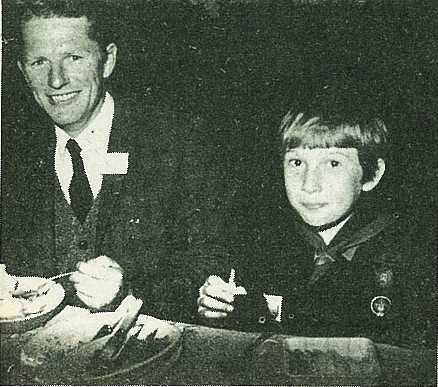 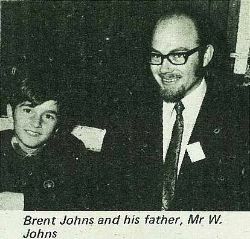 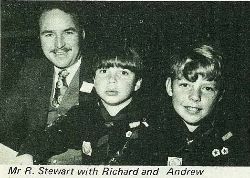 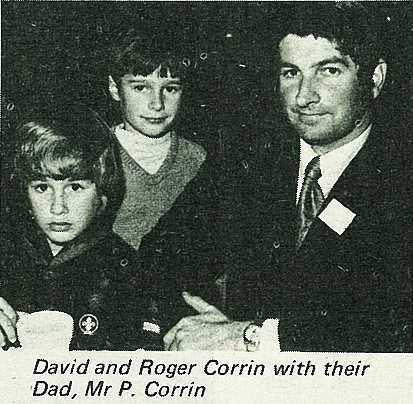 Mr T. Mossman with sons Simon and Peter. 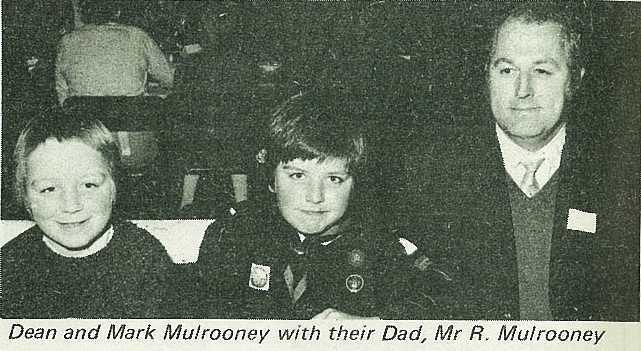 Mr T. Walsh and Russell. 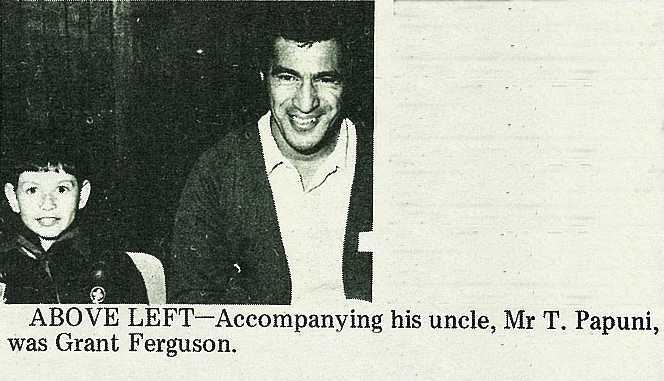 Accompanying his uncle, Mr T. Papuni, was Grant Ferguson.